You’re probably good at multitasking. I’m with you. I can address 120 holiday envelops while watching Househunters International and check email while I dry my hair. I can even drive while I negotiate a temporary truce between siblings. It’s task-switching, though, where I really shine. I’ve gone from downward dog to changing the laundry to returning a call and back again before you can say Tadasana. I can do these things, so I’ve never really understood the downside of multitasking. But recently, my mother handed me a book called “Conquer CyberOverload” and I decided to put down my phone and read the 74-page book. The author, Joanne Cantor, Ph. D., a media professor with a background in social, cognitive and physiological psychology, is the founder of Your Mind on Media. These days, she spends a lot of time speaking to people and organizations about the state of overload in which many of us find ourselves. Her book grew out of these lectures, and looks at our attachment to email, texts, and social media, and the tendency to use them in ways that stress us out, specifically by multitasking. Cantor quotes J. P. Morgan when she says: the first step towards getting somewhere is to decide that you are not going to stay where you are. I can tolerate where I am, I suppose, but what scares the cyberload out of me is thinking about the technology of the future. I want my children to grow up with the ability to disconnect. The best chance I have at that is to model it myself. Cantor’s book includes reasonable tips. Most require forethought and discipline, but one main principle of her book is that we can be the master of the overload and the interruptions that tempt us to multitask or, more to the point, switch tasks. A few of her tips are simple but not commonly done: schedule email checking every two hours; check phone messages on a limited schedule; let people know when you’ll be available; and decide which people are the “drop everything” contacts and find a way for them to reach you when you are otherwise not taking interruptions, she says. But then there are what she calls “self-generated” interruptions. Keep a note-pad by your computer to jot down random thoughts, limit web-browsing to what’s essential, set your default browser page to something boring, she says, among other pointers. But the real power of Cantor’s book comes early on, when she pours cold water on any delusion of mental super-power. The human brain, it turns out, can’t multitask. 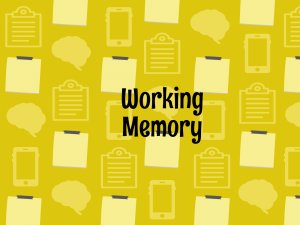 We can only switch between tasks, and when we do that, we’re taxing our working memory. Cantor cites numerous sources, proving her academic bona fides, but she keeps most of the wonky details for the works cited pages at the end of the book. In plain terms, she proves her point with some blunt statements and simple experiments. “Our attention can’t multitask. It can only switch back and forth between tasks and both tasks suffer.” Switching from checking your emails to helping your child with math homework, for example, calls upon your working memory. We end up being worse at both tasks. Personally, I know I’m less patient. One simple way Cantor shows us what happens when we task-switch is called the Stroop test. You’ve probably seen it before—the list of words, all names of colors, printed in colors that do not correspond with the color those letters spell. Even more powerful, I think, is an exercise Cantor adopted from one by Dave Crenshaw’s, “The Myth of Multitasking.” If you’d like to try Crenshaw’s quick demonstration, and clearly see the impeding nature of task-switching, you can find it here. It will clearly show you how bad you are at doing two things “at once”, which is proven to increase your mistakes and add some extra stress and time as well. The cost of all this ineffective-efficiency , according to Cantor, is significant. Even when we task-switch checking or watching media we find entertaining, the change in attention distances us from an emotional connection to it, meaning it no longer proves to be rejuvenating. And we’ve all taken a quick peek at our email or Facebook feed only to be hit with news that somehow provokes a negative feeling. There is also a financial cost to multitasking at work, or $650 billion a year according to the management consulting firm BASEX, who studied the cost to business because of unnecessary interruptions. So, why do we do it, and why do we allow ourselves to be attached to our phones? Being human, it turns out, is what makes us love our gadgets to the point of suffering. We have a strong need to feel we belong, Cantor says, and a strong sense of curiosity to know what’s going on. And sometimes, we want to escape from what’s going on right in front of us. But then, of course, we end up wondering where it is we actually belong. I’ve just spend three days in the mountains with extremely limited wifi. The easiest way to limit one’s connectivity and tendency to task-switch is certainly to have the ability foiled by the Smoky Mountains. Absent those, it’s going to take some will power, and the reminder that we, and our brains, are only human.